Nowadays, almost every person knows what yoga is, but very few know what really yoga is? Yoga is a magical practice; it has immense benefits that can’t be illustrated completely in this post. But still we can spread the awareness about Yoga. Yoga is older than 10,000 years; its existence is before any human civilization on this planet. Saints and Sadhus practiced yoga in the earlier time because yoga is the combination of both science and spirituality. Yoga is just not some exercise to achieve slim body or develop stamina; it has wider aspects which are yet to be promoted ahead. A person can do anything which he desire simply because of yoga. You may be thinking how that is possible but it is possible, when a person do yoga for a long time his life became much more easier without his making any effort to do so. He can do anything, achieve anything because his mind stayed in control and he becomes confident in his every doing. People find peace and closeness to god in churches, temples and mosques and this very same closeness and peace is found when person do yoga and not just at the time of doing it but a person feels all of this in every single second of the day. Some people can be bit shocked but it is true that if someone want to achieve god, he can with the help of yoga and a person can get away from material world by yoga. “Yoga is not religion but at the same time it is.” This phrase is true to the core because yoga is not a part of any religion, however its origin is traced to Hinduism but it is an independent activity and it can be said religion when someone dedicate himself to yoga practice in his life. There are still many more aspects of yoga on which proper light still to be thrown to discuss and promote them and Yoga Day is the first step in this movement. Official International Yoga Day is declared to be held on 21st June of every year from 2015, although in previous years it was celebrated on the same day but was regarded as unofficial. Now from this year on, 21st June is the official yoga day worldwide. Our Honorable Prime Minister Mr. Narendar Modi addressed the UN Assembly in September, 2014 and in his speech he picked up the topic of yoga, illustrating its many benefits and its fast spreading all over the world and at last, called for adopting Official international Yoga Day which was supported greatly by almost every country in the UN.Almost 170 countries supported this appeal in UN including today’s big power like America, China, etc. and 175 countries are co- sponsoring this move by helping and promoting yoga day in their own country. It is a chance given us to stop and think about yoga and spread yoga more.It can be concluded from the above statements that yoga is spreading rapidly around, although people still doesn’t know very deep things related to yoga but this can be solved when the knowledgeable people will spread knowledge about this and that’s what we are trying to do. 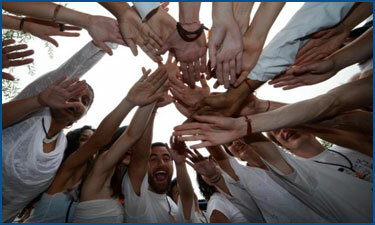 We are contributing to human society by encouraging them to adopt yoga in their life. 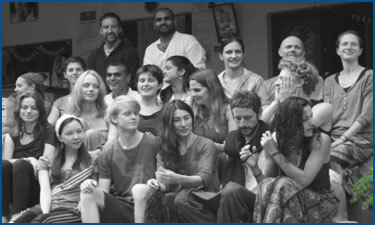 These knowledgeable people mentioned above are yoga gurus and teachers, there is great need of yoga teachers around the world, teacher who can properly teach, can give right knowledge, can encourage people to adopt yoga in their life.We help in building up these knowledgeable people by teaching them what we have learned and carrying the legacy further. It can’t be denied that there is big demand of good yoga teachers everywhere and we have come forward to contribute in this area. 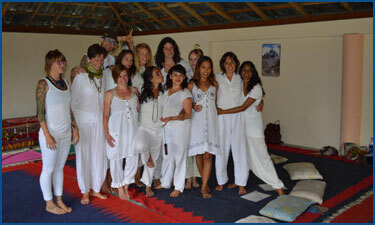 We provide professional yoga teaching to everyone irrespective of country they belong to. 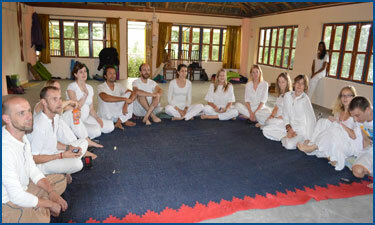 Anyone can learn yoga and possess its knowledge with us in our several Centers in India. It is true that we are advocating ourselves but tell me what’s the harm in it? We are advocating truth, path of bliss & peace and there is nothing wrong in it. At last, it can be said that on Yoga Day, everyone should discuss yoga and try to have knowledge about it because this Day is made for us and we should make most out of this to adopt yoga in our life.